Are You Tired Of Being Sick And Tired? Good news: there are natural healing solutions available right here and right now. Call today at (979) 776-0072 for a FREE Consultation. Sick and Tired? Want a Better Way? Isn’t it time you woke up in the morning, felt good and looked forward to a day of abundant energy?Why do all those health products you’ve tried never work? Here’s why: choosing an effective natural energy, pain or inflammation relief treatment or product can be a downright confusing if not impossible task for most people for very good reasons. You may wander the isles of your local grocer, pharmacy or health food store and with so many brands and promises to choose from, it’s difficult to figure out what’s right for you. Even when you do wake up feeling ok, by 2pm the energy is gone. On top of that, you’ve noticed that it’s been happening too often lately. For many people, the pain and fatigue is all too common! None of us really wants to be sick, live in pain or be endlessly tired, yet this is what makes drug companies so big and keeps our clinics and hospitals so busy, for the most part, they’re all in the sickness business. The Sickness Business – Think That Sounds Odd ? Consider for a moment what would happen to all the big pharmaceutical and food companies revenues if 80% of us stopped buying their drugs and highly processed foods because we’d found a way to get and stay healthy. We wouldn’t need their products! Think about the last time you sat down to watch a favorite TV program? Chances are you saw a pharmaceutical company promoting a new wonder drug (with not to many side effects) and all you had to do was go ask your doctor for a prescription! What’s wrong with this picture? Drug companies are asking us to see a doctor to buy their products?The advertising works too, but most people eventually discover many of the drugs are designed to cover up or suppress the symptoms, not address the underlying causes. This creates a destructive cycle of lots of pills for chronic illness with no relief in sight. 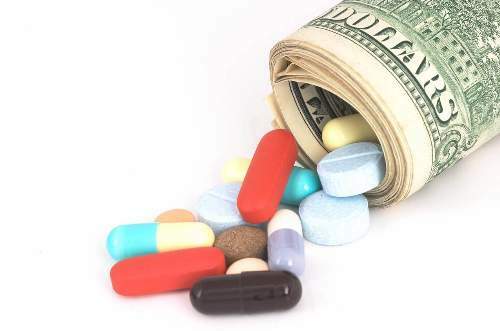 It certainly appears like these companies design many of the drugs to mask symptoms and therefore count on us purchasing more and more of their product over time, which puts them in the sickness business. In all fairness, there are some miraculous drugs available today that deliver incredible benefits to people needing critical life support and care. That small percentage of the population who undergoing life saving operations, suffering from serious genetic disorders or battling life threatening disease or injury. Modern drugs in this case can be life savers. People with life threatening conditions as a rule did not choose their situation, they are victims of it. On the other hand, poor food choices by many “healthy” people is having an insidious and lasting negative effect on western population. Our health system is inundated with sick people, and we’ve all heard the situation is not improving. Health care costs are shooting up. Wouldn’t you rather take steps to be and stay well as opposed to battling illness? Western healthcare suggests we just accept headaches, migraines, allergies, stomach and digestive distress, body pain, fatigue, arthritis, and thousands of other common ailments. Here’s a prescription, just take a few pills, the symptoms are inevitable symptoms that affect a stressed and aging population, yet for over 80% of us, it’s not necessarily so.Science can now easily explain what mankind has always suspected, that there is a direct relationship between the quality of our food and the quality of our bodies performance.Knowing this is a big step toward avoiding being sick and tired. Add to this mix the ever increasing barrage of TV and radio advertisements from big pharmaceutical manufacturers with big marketing budgets telling you to buy their products (forgive the side-effects!) and you end up more confused.Even the typical child in North America today is bombarded with over 40,000 TV advertisements a year. That’s a 100 a day and what are they saying! These big budget marketing companies are promising benefits equivalent to candy for our children. The tactics are the same for you and me, more mature, but no less menacing. Drug makers remain in the news with announcements of products being recalled from the market due to unexpected and serious side-effects in a significant number of users.In a vast majority of cases today, pharmaceutical drugs are designed in a laboratory to be highly focused on masking symptoms, not attacking the root cause. One of the biggest mistakes we can make when buying a drug products is to look at the benefits, without considering the side effects of the product; side effects that can have long-term implications.Many of the popular prescription and OTC drugs can damage your stomach, liver and kidneys, and can even cause internal bleeding. What’s worse, many over-the-counter (OTC) remedies just mask the symptoms and can actually slow tissue healing and adaptation in the long run.So you’re slowing your body’s ability to heal itself, you’ve spent countless dollars every month on products that didn’t help, and you still suffer with the fatigue and pain anyway. The concept of wellness dates back many thousands of years and there are frequent examples in history of individuals that have recognized and pursued nutrition as a key ingredient of wellness. At the beginning of the 20th century, restaurants were rare while today, they are prevalent in every part our society and we spend an enormous amount of our disposable income on eating out which good news for restaurants, particularly fast food restaurants! However, leading up to the early 20th century, normal for most people were home cooked meals! and while our great grandparents, and theirs, did not have the wide diversity of food choices we have today, they had the basics and those basics were far more nutritionally dense than our foods are today. In fact, the nutrient value of their foods was incredibly better than the distant cousins of today and their farming methods still followed age old crop rotation principles to regenerate soil nutrients, naturally, over time. The unfortunate result of food today is that most people are slowly starving on an abundant supply of highly processed nutrient deficient food! “Fat was a very precious commodity in the world that we emerged from …, where people lived on fruit and berries and wild game, and where there was almost no fat. The choicest foods were the fatty flavorsome foods. … the human brain has been built to recognize fat, sugar and salt as part of the primeval survival mechanisms. Now we’re handicapped because we have fat everywhere, but we still have those brain mechanisms charging away.” – Prof. Philip James, M.D. Chairman, International Obesity Task Force. Our bodies are based on a biological system developed many thousands of years ago when we were basically wandering nomads with diets confined to fruits and berries and the occasional wild game, fat was rare in the diet.When fatty food was found, it was highly prized, and over time the human mind grew to recognize and search out these fat, sugar and sodium laden foods. Today, these 3 ingredients, fat, sugar and sodium are so abundant, and help to make processed foods taste so good, that we are slowly losing our ability to diversify taste or even appreciate the tastes of the more fundamental, yet absolutely essential foods needed to nourish us. 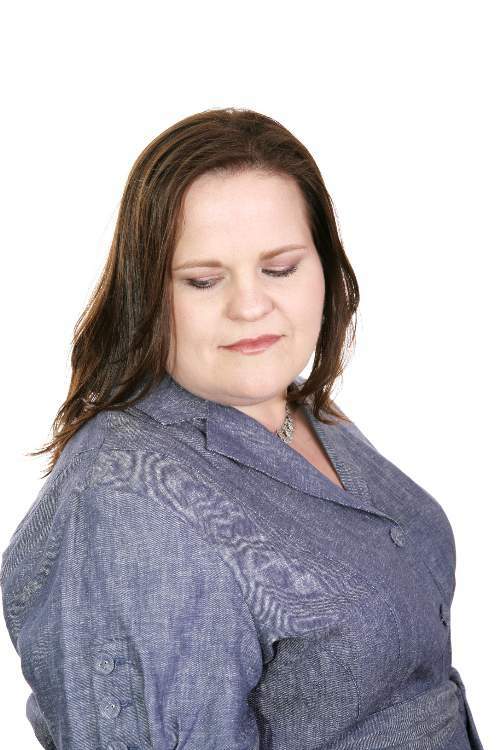 A lot of people within a normal weight range are unhealthy, although they often don’t know it. The aches and pains of our body are signals that something is wrong.Modern science has vastly improved our standards of living, and that is good, but have we now begun to inflict irreversible damage on ourselves, and our children, by believing the claims of companies promoting the excitement and fun of highly refined foods? FACT: Good nutrition is fundamental to good health and wellness. In fact, from my personal experience, my education and the results of my thousands of clients, all have improved their health and wellness through the rudiments of a fresh food diet low in processed foods of any kind. I want to share this knowledge with you so that you too can live a life filled with promise, wonder and joy. Everybody can benefit from basic food choices and high quality nutritional supplementation. Good Health Doesn’t Have to Be Complex, Difficult or Boring! My Wellness Programs are all about offering you proven methods I have developed based on cutting edge science that can help you to identify the right steps to life-long wellness, then supporting you as you move toward and attain each goal. You can discover how to recover your health by calling (979) 776-0072 for a FREE initial consultation where I’ll listen, really listen to you as a first step to revitalizing your life.